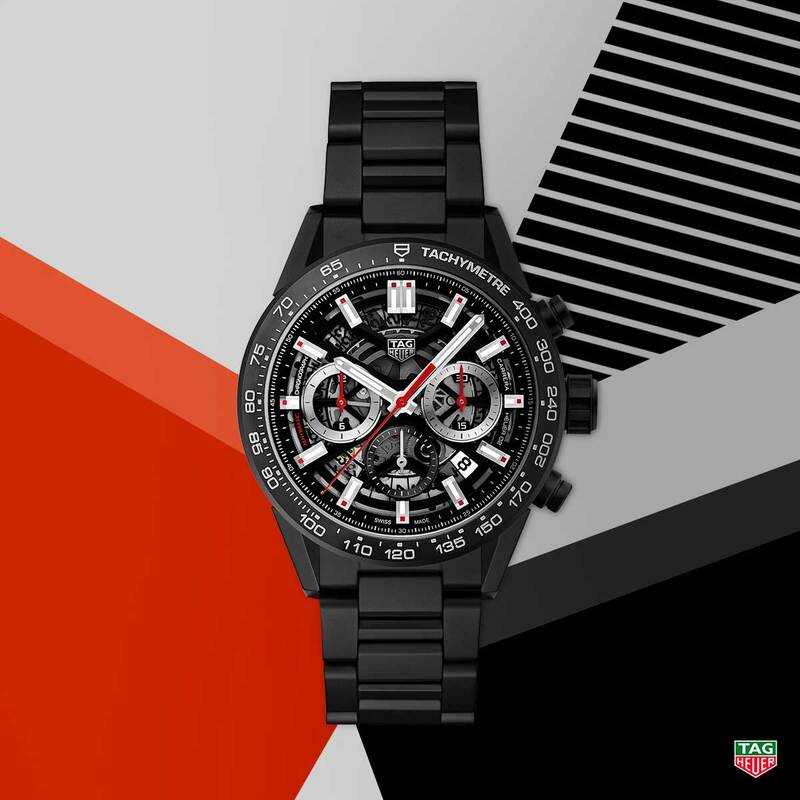 Just ahead of this year’s edition of Baselworld, TAG Heuer announced the new Carrera Heuer 02 collection, which currently includes 13 different models in a range of materials and colors. Let’s dig in. The new Carrera Heuer 02 marks the 55th anniversary of the iconic Carrera chronograph, first launched in 1963 by Heuer. 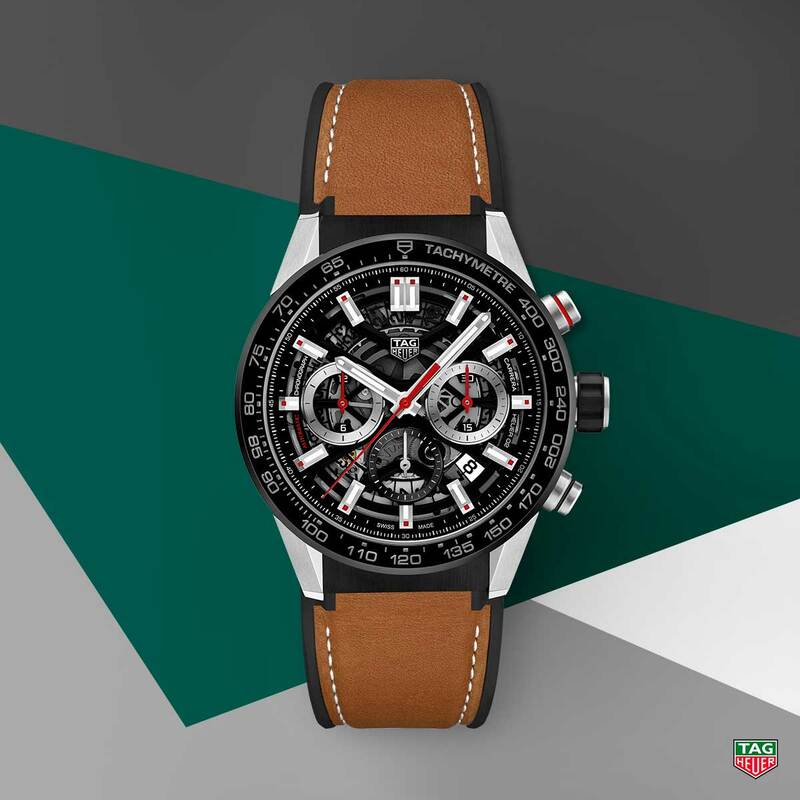 But rather than releasing a vintage-inspired model as so many watchmakers tend to do to commemorate milestones, TAG Heuer has instead stuck to a modern chronograph design and outfitted it with a new in-house movement. Excluding one GMT model with a 45mm case, the new generation Carrera Heuer 02 comes equipped with a 43mm case. Material choices for the case include steel, PVD-coated steel, carbon, ceramic, and gold. Plus, there’s also a range of straps and bracelets offered in steel, rubber, leather or ceramic. The modern Carrera keeps its signature bezel with the tachymeter scale. Due to its modular construction, various parts of the case, such as the middle section, caseback, lugs, and bezel, can be easily swapped and combined into new configurations—explaining the abundance of variations with one release. Some highlights include a steel and black ceramic version, a rose gold and black ceramic version, and a full black ceramic version. Followers of the Carrera chronograph evolution will immediately notice that the subdials on the skeletonized dials have returned to the classic 3/6/9 configuration rather than the 6/9/12 layout we’ve become accustomed to on the Carrera over the last few decades. This is a result of the new in-house Caliber Heuer 02 under the hood. After making its debut in the Heuer Heritage Autavia released last year, the Caliber Heuer 02 now finds a new home in the new 2018 Carrera chronographs. Featuring 168 components, a column wheel, and a vertical coupling-clutch, the Caliber Heuer 02 automatic chronograph movement offers a 75-hour power-reserve and 4Hz frequency. While the new TAG Heuer Carrera Heuer 02 will only be available as of June 2018, prices on the website range from $5,400 to $12,500. 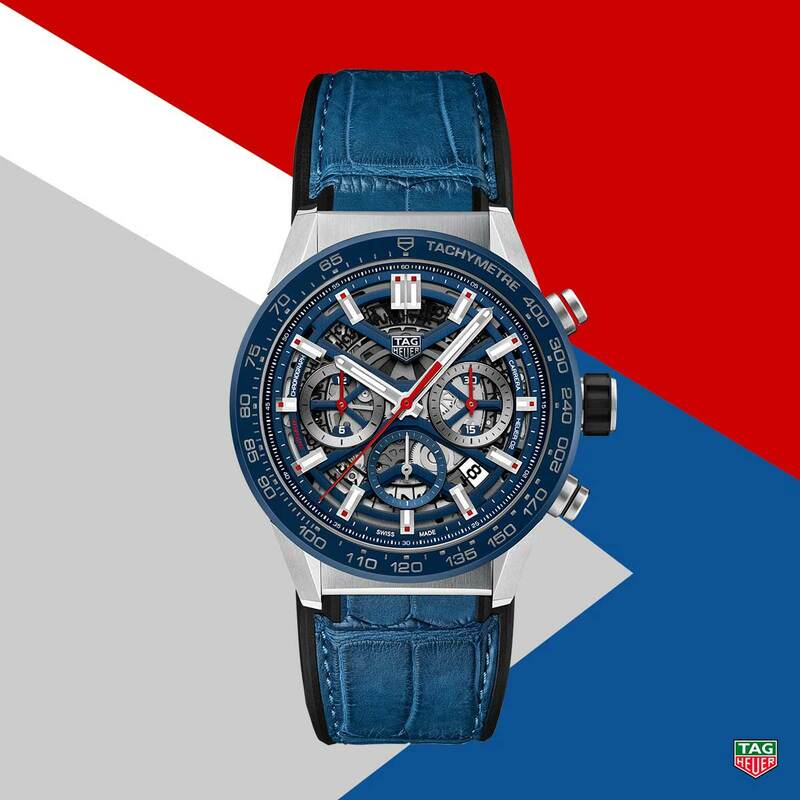 What do you think of the new TAG Heuer Carrera Heuer 02 collection? Do you appreciate the modern style or do you prefer more vintage-inspired designs? Let us know in the comments section below.